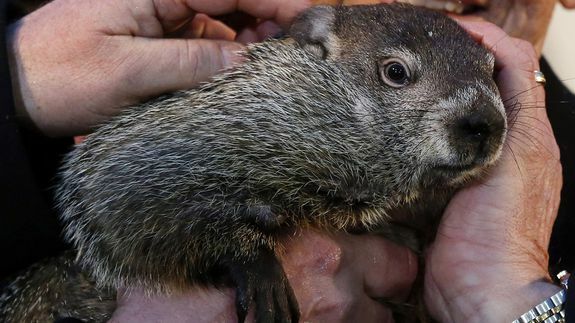 The handlers of Pennsylvania’s most famous groundhog, Punxsutawney Phil, say the furry rodent has forecast six more weeks of winter. Members of the top hat-wearing Inner Circle announced the “forecast” just before 7:30 a.m. Monday. 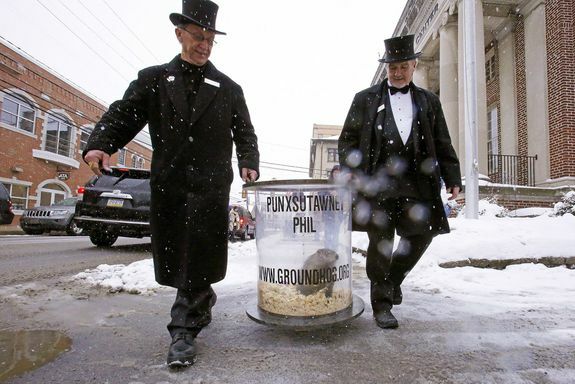 Groundhog Club co-handlers John Griffiths, right, and Ron Ploucha carry Punxsutawney Phil, the weather prognosticating groundhog, on his rounds through downtown Punxsutawney, Pa.